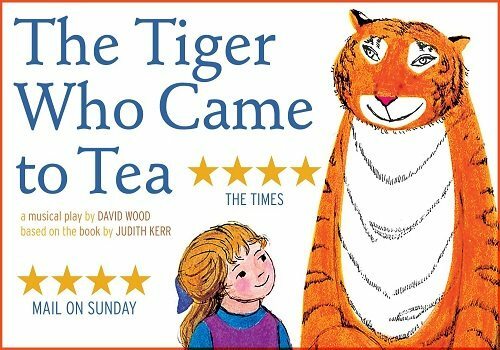 Beloved children's book, The Tiger Who Came to Tea, has been transformed to a vibrant stage production and is once again back on the West End. 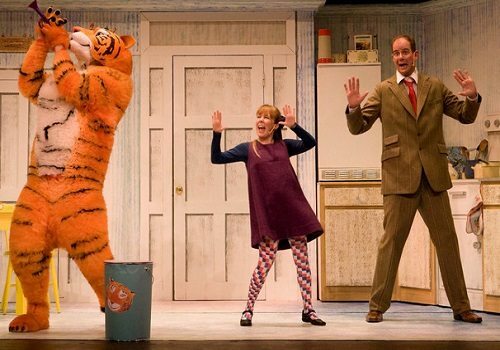 Judith Kerr's tale of a chaotic tiger who gate crashes a mother and daughters tea time has been adapted for the stage by celebrated writer, David Wood OBE. The story follows the characters of Sophie, her mother and a huge 6ft towering tiger who does not know how to sit down for tea. The pair soon discover their house guest is far thirstier and hungrier than they could have ever imagined! Will there be enough food and drink for Sophie and her mummy once the tiger has had his fill? Or, more importantly, what will Daddy think when he returns to find a tiger in his house?! The show is perfect for those with vivid imaginations and is brought to life with colour, magic and songs that are perfect to sing along to. Casting includes Abbey Norman as Sophie, Benjamin Wells as the Tiger and Jenanne Redmayne as Mummy. The show is directed by Wood with choreography by Emma Clayton and designs by Susie Caulcutt. The Tiger Who Came To Tea runs at 55 minutes with no interval, making it perfect for those with shorter attention spans who still want to enjoy an action packed show! The show returns to the Lyric Theatre, running over the festive period from the 25th November to the 10th January 2016. Click here for the Lyric Theatre seating chart and seat price guide.